There are many reasons walking barefoot on the beach is good for your overall health and well-being. Improve balance and proprioception reducing the risk of falling. Strengthen, stretch, and challenge both small and large muscles, tendons, and ligaments in your feet, ankles, legs, hips, back, and core. Improve your gait by teaching you how to walk properly. Clear your mind and connect you to the earth and nature. 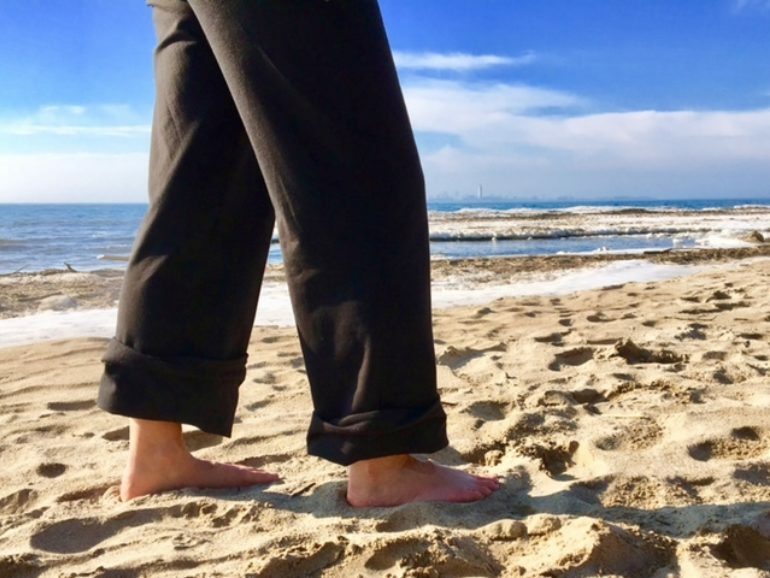 Walking barefoot on uneven surfaces such as the beach or on grass strengthens and stretches the muscles, tendons and ligaments in your feet, ankles, legs, hips, and back. This helps prevent injury and improves your balance and proprioception, which is the feedback loop between the body and brain that tells us exactly where we are in space and time. Walking barefoot helps fine tune your body’s proprioceptive mechanism by increasing the number of nerve endings firing signals to the brain and as a result improving your balance. Everyone can benefit from barefoot walking, but don’t walk far if you haven’t done it for a while. Softer, deeper sand is more challenging than firmer sand. If you are unsure if you should attempt it, seek advice from a qualified health professional to help get you started at the level best suited for your age and health condition. If you have any questions about chiropractic and/or walking barefoot and the benefits to your health please contact Sauble Beach Chiropractic. To schedule an initial consultation, regular tune-up, emergency visit, or if you have any questions, text or call 519-422-0443. You can also send an email to paulknechteldc@saublebeachchiropractic.ca.